Let’s look at 10 revealing moments in the history of lying about wars to see what they tell us, and then I’ll be glad to try to answer any questions I can. These remarks will be published at teleSUR. 1. 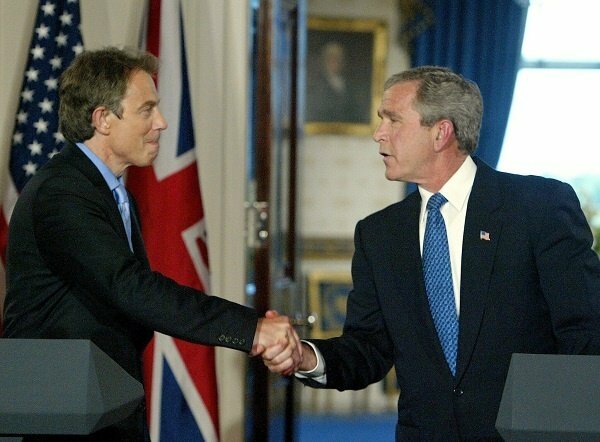 On January 31, 2003, President George W. Bush and British Prime Minister Tony Blair met in the White House prior to a joint press conference. Bush proposed to Blair that one good way to get a war on Iraq started would be to fly U2 reconnaissance aircraft with fighter cover over Iraq, painted in U.N. colors, in hopes that Iraq would fire on them. This was one of a number of possible ways to get a war started that Bush proposed to Blair. Following the meeting, the two of them walked out to do a joint press conference, of which you can still watch the video. At the press conference, the two of them said they wanted to keep the peace – Bush used the word “peace” at least three times – and that if Iraq would simply disarm of the weapons that in fact it did not have and which much of the world did not believe it had, there would be no need for war. Bush also claimed Iraq had ties to al-Qaida, though declining to claim any “direct” ties to al-Qaida. Asked what they thought of Iraq having just invited U.N. inspectors back to Iraq, Bush and Blair said it was a trick and a deception. Asked whether he hadn’t always wanted a war on Iraq and whether he wasn’t just going through a charade of diplomacy, Bush claimed to be denying the charge but in fact spoke mainly of his view of how high the stakes were and seemed to be defending his drive toward war. In addition, by this point, the Iraqi government had approached the CIA’s Vincent Cannistrato to offer to let U.S. troops search the entire country. The Iraqi government had offered to hold internationally monitored elections within two years – something I’d love to see the United States do. The Iraqi government had offered Bush official Richard Perle to open the whole country to inspections, to turn over a suspect in the 1993 World Trade Center bombing, to help fight terrorism, and to favor U.S. oil companies. And the Iraqi president had offered, in the account that the president of Spain was given by the U.S. president, to simply leave Iraq if he could keep US$1 billion. It’s worth adding to that quote that U.S. officials were obeying majority U.S. opinion. 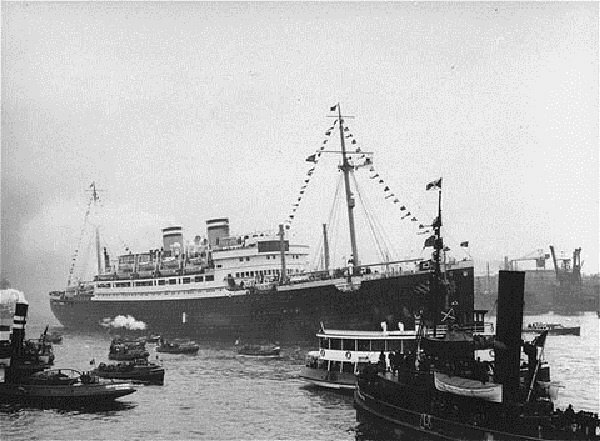 Most people in the United States did not want to allow Jewish immigrants from Germany to enter the country. While the news had been reported from Germany of growing brutality toward Jews and others, the U.S. media, including famously the New York Times, had downplayed it, as had U.S. politicians – both out of anti-Semitism and out of a desire to maintain good relations with the German government. In fact, following the disastrous treaty of Versailles that ended World War I in a manner predicted at the time to create World War II, the United States invested heavily in Nazi Germany as a preferable alternative to communists. Our peace movement hero Smedley Butler was locked up in Quantico when he publicly said something disfavorable about Benito Mussolini. The myth of the evil Nazis is not a myth because they were not evil, but because the U.S. government fundamentally did not give a damn, engaged in eugenics and human experimentation before, during, and after the war, ran an Apartheid state for African Americans, locked Japanese Americans in camps, pursued global empire, and pointlessly slaughtered during the war many more civilians than died in Nazi camps – something that can be said of most parties to that war, a war that killed 50 to 70 million people, while the German camps killed some 9 million. In 1942 peace activist Abraham Kaufman argued that the United States needed to negotiate with Hitler. To those who argued that you couldn’t negotiate with Hitler, he explained that the Allies were already negotiating with Hitler over prisoners of war and the sending of food to Greece. In 1943 Hughan wrote to the New York Times and the U.S. State Department that “two million (Jews) have already died (and) 2 million more will be killed by the end of the war.” She urged a negotiated peace. Now, of course, you can switch back to the idea that World War II was defensive, or create some other argument for it, but you’ll still have to make a difficult case that it’s somehow relevant to 2016 and beyond – apart from U.S. officials calling various foreign leaders “Hitler” – before I’ll be persuaded that we should dump our future down the drain of military spending. The White House claimed that Ghadafi had threatened to massacre the people of Benghazi with “no mercy,” but the New York Times reported that Ghadafi’s threat was directed at rebel fighters, not civilians, and that Ghadafi, consistent with past behavior, had promised amnesty for those “who throw their weapons away.” Ghadafi also offered to allow rebel fighters to escape to Egypt if they preferred not to fight to the death. Yet President Obama warned of imminent genocide, as did some prominent and generally antiwar U.S. leftists, while others screamed for bloody revenge for newly remembered grievances. In March 2011, the African Union had a plan for peace in Libya but was prevented by NATO, through the creation of a “no fly zone” and the initiation of bombing, to travel to Libya to discuss it. In April, the African Union was able to discuss its plan with Ghadafi, and he expressed his agreement. NATO, which had obtained U.N. authorization to protect Libyans alleged to be in danger but no authorization to continue bombing the country or to overthrow the government, continued bombing the country and overthrowing the government. Libya was destroyed, weapons proliferated to Syria and around the region, anti-Western terrorist groups energized, and such a gloomy shadow cast over humanitarian wars that Samantha Power later saw the need to urge on people the duty not to look too closely at Libya in order to be properly willing to bomb Syria. 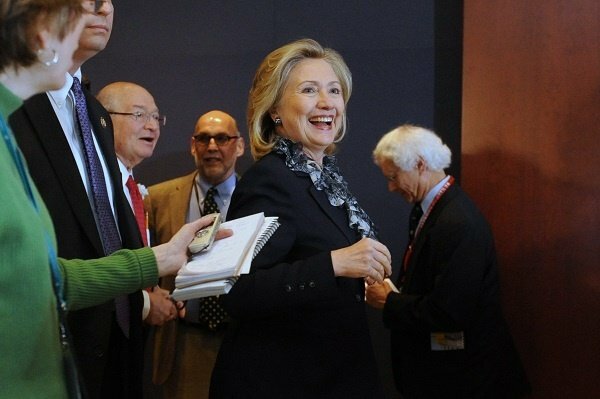 We don’t actually need private emails in order to debunk the lies of humanitarian war making. A survey of behavior makes it clear. And often the truth is openly stated in a manner that is intended to go unremarked upon. A few weeks ago, as the U.N. was trying in vain to drop food anywhere near starving people in Syria, a U.S. Air Force expert told a reporter about a system that allowed more precise drops from high altitude in high wind. It cost US$60,000, he said, and therefore, “You wouldn’t use it for a purely humanitarian drop.” The missiles that the United States tosses at foreign countries like confetti cost over US$1 million each. There is no such thing as a “continuing and imminent threat to the American people.” A threat is either imminent or continuing, but let’s assume it can be both, that it is imminent and just goes on and on being imminent. There is in fact not a single example of a U.S. drone murder in which the victim has been shown to have constituted an imminent threat to the people of the United States. In the drone propaganda film “Eye in the Sky” a fantasy is invented in which the victims actually are an imminent threat to others. But even then, in a scenario that has never happened and will almost certainly never happen, they are not a threat to the United States or even to its imperial forces. Borah wanted peace through peace, which in the United States today is generally deemed naive and foolish. 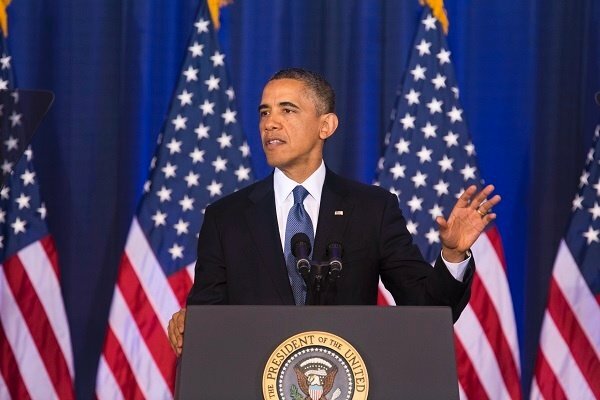 President Obama and the Pentagon claim to want peace through war, which in today’s United States is generally deemed wise and reasonable. 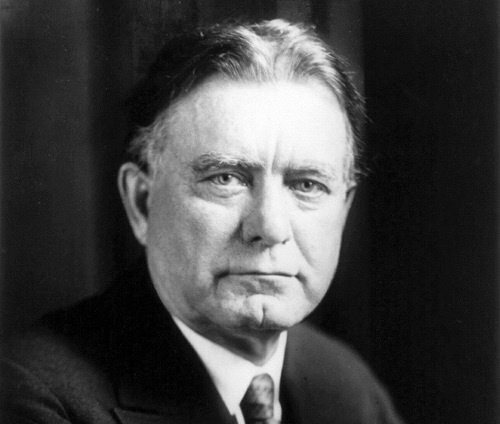 Borah referred to the Kellogg-Briand Peace Pact of 1928 which banned all war. Why exactly did it fail? Well, why exactly did the first steps taken to abolish slavery fail until additional steps were taken that advanced that cause to its current far from perfect position? Why did the first guy to propose ending dueling as a ridiculous institution probably take a bullet to the head? Why have so many international treaties banning so many weapons and cruelties not achieved the support of every nation yet? Because change takes time and must press against resisting inclinations. There is, as far as I know, only one nation on earth where something like this could happen. Other nations wage war, but not as a matter of routine, not as the primary duty of a publicly elected official whose willingness to slaughter children by the thousands is required by a representative of a massive communications corporation hoping to air the footage with, of course, tasteful discretion in showing any of the bugsplat. This incident wasn’t a lie but a truth telling about how Washington, D.C., views war. 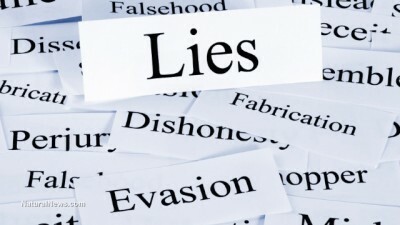 The lies are the 90% of public statements on war that pretend it’s not a one-sided slaughter of innocents. 7. A couple of weeks ago a U.S. State Department spokesperson was asked if the United States favored Syria reclaiming the city of Palmyra from the Islamic State group or favored the Islamic State group holding onto it. He found this a very difficult question to answer and made clear he did not want to see the Islamic State group weakened if it meant any sort of gain for Syria. If any ordinary war supporter were shown this video, they might find it confusing. The U.S. government has prioritized one enemy, whom it has utterly failed to scare the U.S. public with, while the U.S. government has made a distant second priority of attacking another enemy that most people in the United States are so terrified of they can hardly think straight. President Obama and Secretary Kerry did what they could in 2013 to persuade us to want war with the Syrian government, but they failed. ISIS videos in 2014 succeeded beyond the wildest dreams of ISIS, the Obama administration, and the weapons makers. But the U.S. government jumped into the war in 2014 with the same priority it had had in 2013 and had been developing for years, and which had even helped motivate the 2003 attack on Iraq, namely the goal of overthrowing Syria, a goal for which it has been arming the al-Qaida affiliate in Syria for years now. This example should help people recognize that public and government motivations for a war are not always the same. Of course the sadness is very real. Of course many more U.S. soldiers kill themselves after a war than died in it. But look at the world’s perspective. One-sided slaughters of civilians cannot be all about the sadness of the soldiers. There has to be more to the story. Yet, the chief thing the U.S. military does, slaughtering people, could never be included in an advertisement for the U.S. military. And when polls find that people around the globe consider the United States the biggest threat to peace on earth, people in the United States could be forgiven for concluding that the world is simply crazy and ungrateful. “Picking up what I considered a very clever sign (‘Kennedy, Don’t Mimic the Russians!’), I joined the others (supplemented by a second busload of students from a Quaker college in the Midwest) circling around a couple of trees outside the White House. Mike and I – as new and zealous recruits – circled all day without taking a lunch or a dinner break. For decades I looked back on this venture as a trifle ridiculous. After all, we and other small bands of protesters couldn’t have had any impact on U.S. policy, could we? Then in the mid-1990s, while doing research at the Kennedy Library on the history of the world nuclear disarmament movement, I stumbled onto an oral history interview with Adrian Fisher, deputy director of the U.S. Arms Control and Disarmament Agency. Yes, Kennedy delayed a horrible action. He didn’t, at that time, block it permanently. But if the picketers in 1961 had had the slightest notion that Kennedy was being influenced by them, their numbers would have multiplied 10-fold, as would the delay have correspondingly lengthened. Yes, our government was more responsive to public opinion in the 1960s than now, but part of the reason is that more people were active then. And another reason is that government officials are doing a better job now of hiding any responsiveness to public sentiment, which helps convince the public it has no impact, which reduces activism further. The biggest lie is that nonviolent public pressure doesn’t work. We could expose that lie by trying it. David Swanson is an author, activist, journalist, and radio host. He is director of WorldBeyondWar.org and campaign coordinator for RootsAction.org. Swanson’s books include “War Is A Lie.” He is a 2015 Nobel Peace Prize Nominee.